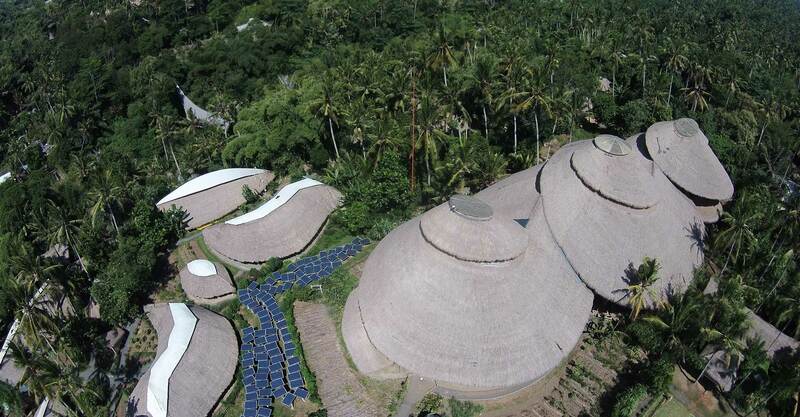 Our award-winning architecture, set in the heart of the Bali jungle is a unique venue for corporate or private events. Our venues are available for film locations, photography shoots, conferences, concerts, special occasions and events. 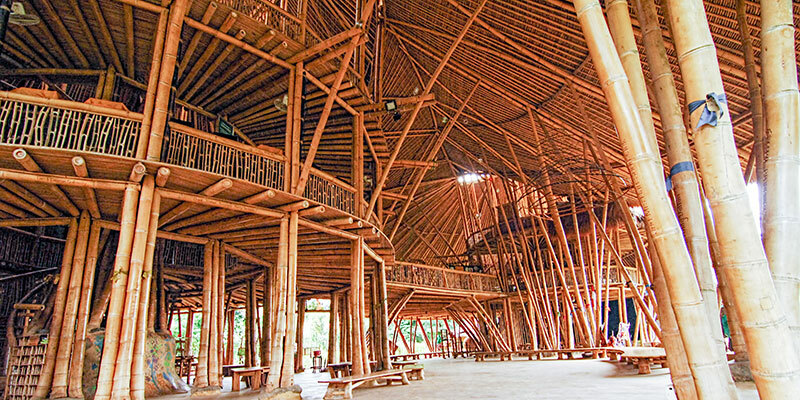 The stunning bamboo structures and campus can be used for many occasions and groups, large and small. 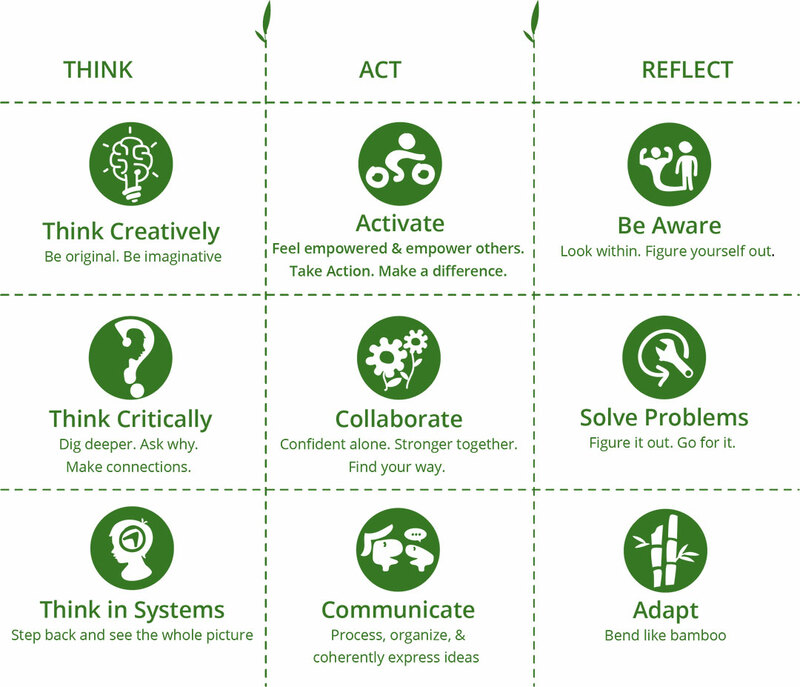 Let us help you design a package to accommodate your particular needs. Please enquire by completing the form here. 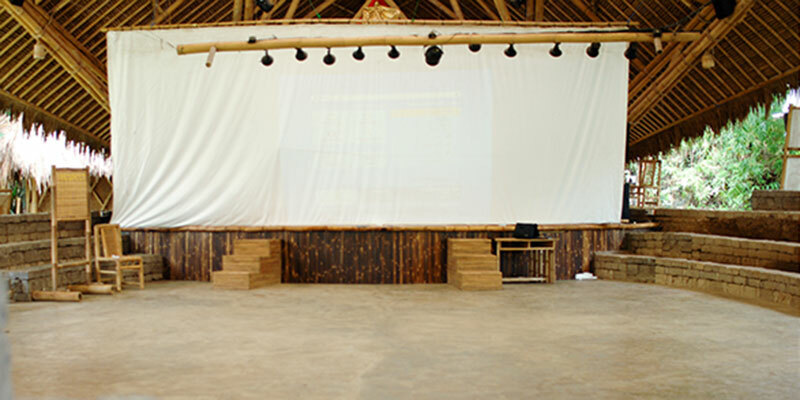 Green School’s amphitheatre. The venue has a stage, fixed amphitheatre, sound and lighting. Can be configured with tables and other types of seating. A view like no other. 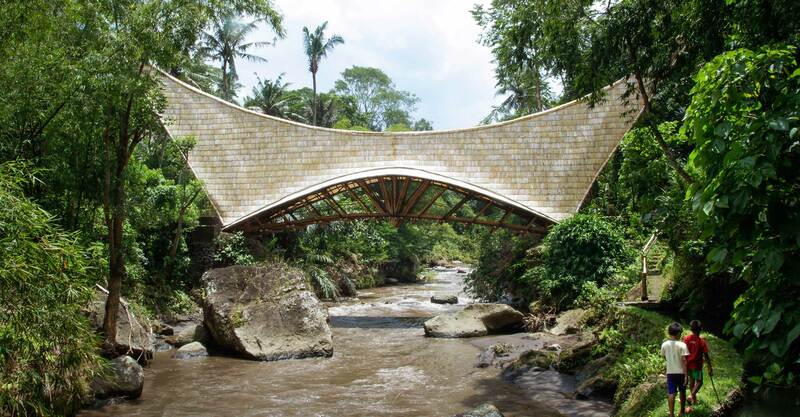 The magnificent Millenium Bridge overlooking the powerful Ayung River. Great location for a romantic dinner or wedding shoot. 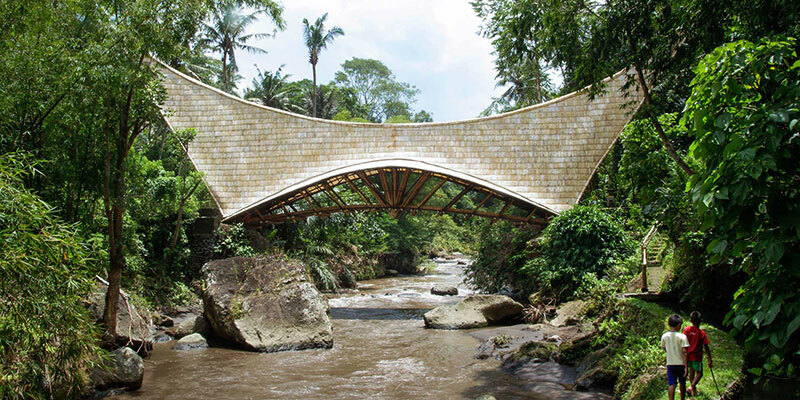 Made from recycled Teak, our Yoga Shala has magnificent breezy views of the Ayung River. 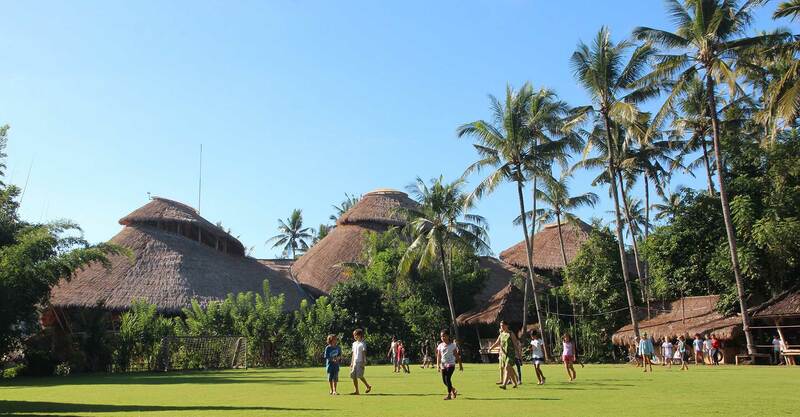 Perfect place for meditation, yoga or dance workshop. Our largest event space. Concrete floors and covered area. 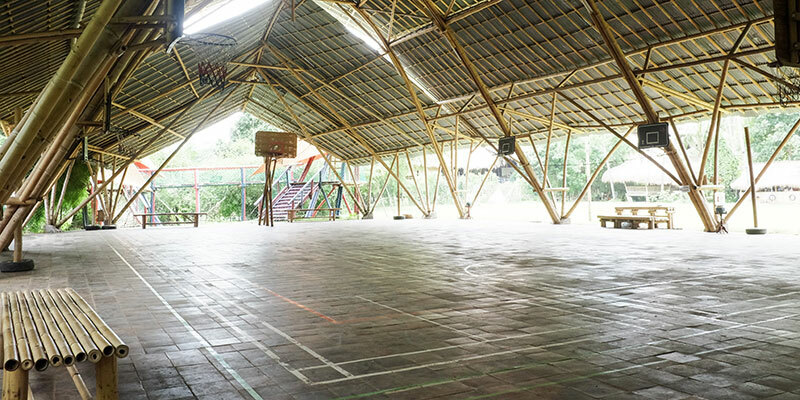 Used for our sporting activities. 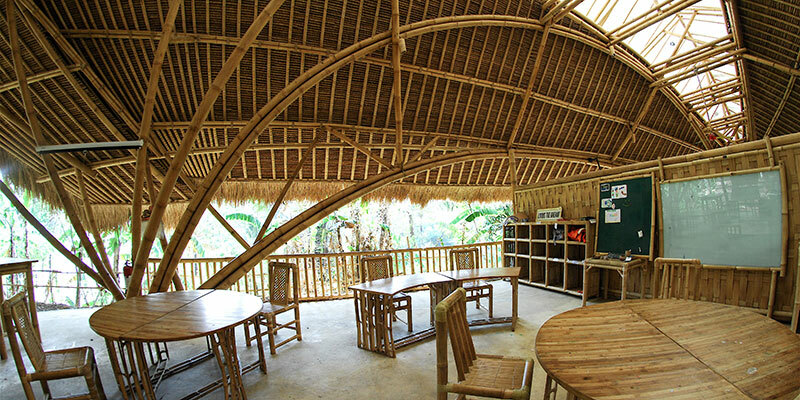 For smaller meetings, a range of bamboo classrooms available with varying seating configurations.